Today marks the beginning of the regular signing period for football players across the country -- and, in tandem, football players who are considering competing in track and field, too -- so MileSplit will begin to provide a running tally of athletes who will sign with respective programs today. Tyrese Cooper, Miami Norland High School: The blue-chip 200m and 400m prospect announced on Wednesday during a signing ceremony that he will be attending the University of Oregon. Cooper owns all-time outdoor marks of 10.34 in the 100m, 20.46 in the 200m and 45.23 in the 400m. He's also run 21.05/32.87/46.01/1:01.88 indoors. 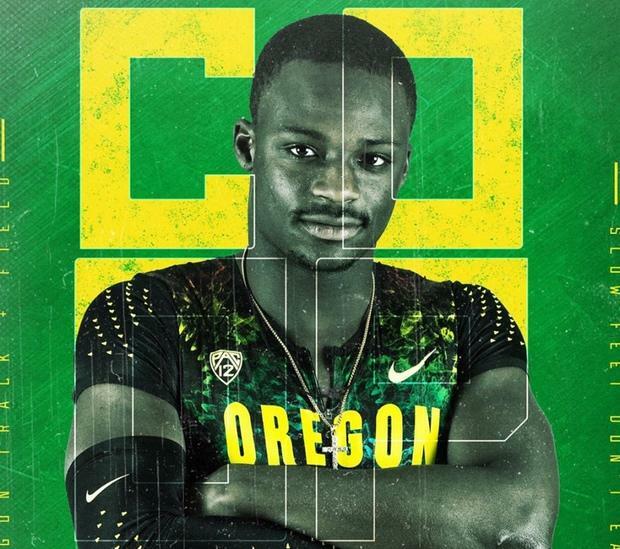 Cooper, who owns outdoor freshman (20.62) and sophomore (20.51) class records in the 200m and a freshman class record in the 400m (45.23), also considered the University of Texas and Ohio State University. His 45.23 effort in the 400m from 2016 is the 13th fastest time ever recorded for a high schooler. Jalen Drayden, DeSoto High School (TX): A transfer to DeSoto in 2018-2019 from Bishop Dunne, Drayden is an elite sprinter in Texas with a chance to pick up hardware come state season. This indoor season he went 6.90 seconds in the 60m and a US No. 4 mark of 21.31 seconds in the 200m. Outdoors, he's run times of 10.52 seconds in the 100m and 21.33 seconds in the 200m. He won a TAPPS Championship in the 100m in 2018. Damian Sutton, Plantation American Heritage (FL): He's run an open 51.98 in the 400m and split 49.8 for the distance. 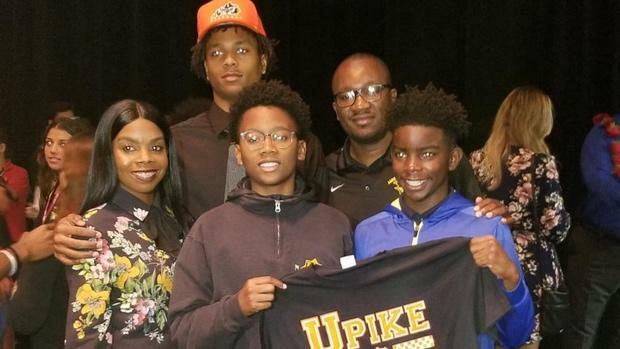 He signed with the University of Pikeville in Kentucky. Tylin Jackson, Lancaster High School (TX): Jackson has committed to the University of Arkansas and will complete his signing on Wednesday. Ares Reading, Niwot High School (CO): The distance runner from Colorado, a runner-up at the state's Class 4A Cross Country Championships this fall, committed to Furman University on Wednesday. Reading was 19th at Foot Locker, 17th at NXN and ran a 5K PR of 14:52.90. He owns PRs of 4:29.45 in the 1600m and 9:14.44 in the 3200m. Ryan Shumaker, Grapevine High School (TX): The ninth-place finisher at the UIL Class 5A Cross Country Championships, who owns a PR of 15:21.13 for 5K and 4:22.32 for 1600m, is headed to the University of Tulsa. Claire Meyer, Austin Bowie (TX): Meyer, a distance runner with PRs of 2:20.31 in the 800m, 4:52.58 in the 1500m and 10:41.54 in the 3K, signed with the University of Houston. She's also recorded a top time of 18:18.85 in the 5K over the cross country season. If you would like your signing covered by MileSplit, please email cory.mull@flosports.tv, or tweet @MileSplit on Twitter.